Twin Folio, the legendary ’60s duo that emerged from Seoul music cafe C’est Si Bon, is due to be the subject of a television show. 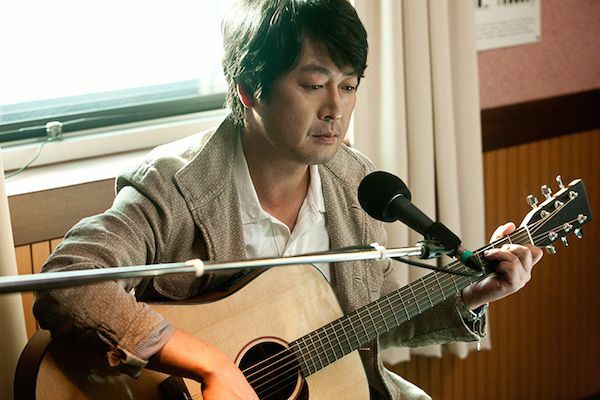 Yet when music producer Lee Jang-hee, the man responsible for their creation, is quizzed about the rumour of an original third member, he begins to reminisce about the era. Back in the ’60s, C’est Si Bon was the hottest place in the city to listen to folk song competitions. With his silky voice Yun Hyeong-ju (Kang Ha-neul (강하늘) was the star of the cafe, until newcomer Song Chang-sik (Jo Bok-rae (조복래) instigates a rivalry. 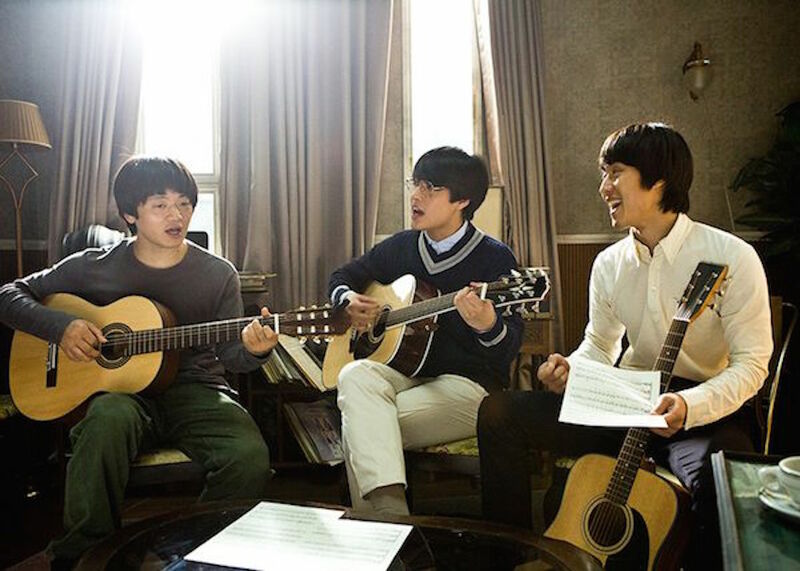 With their clashing egos a duo would be impossible, and as such Jang-hee (Jin Goo (진구) enlists talented country boy Oh Gun-tae (Jeong Woo (정우) to make a trio. Their inability to work together changes when beautiful aspiring actress Min Ja-yeong (Han Hyo-joo (한효주) enters the club, inspiring them to collaborate and become one of the most successful bands of the era. C’est Si Bon is something of a love letter to the vibrant music scene of 1960s/70s Seoul, one that attempts to capture the spirit of the era through the story of the renowned cafe. Generally it succeeds, particularly in the opening act as there is much enjoyment to be had in witnessing the titular music arena being introduced, the band coming together and egos clashing. The C’est Si Bon cafe is a wonderfully charismatic and dynamic place due to some quite lovely set and costume design, helmed competently by director Kim Hyeon-Seok (김현석) who is likely hoping for the same success as his prior romantic endeavour Cyrano Agency. Yet following an enjoyable 30 minutes, the film eschews the fun and vitality of the music scene to descend into a cliched romantic tale. 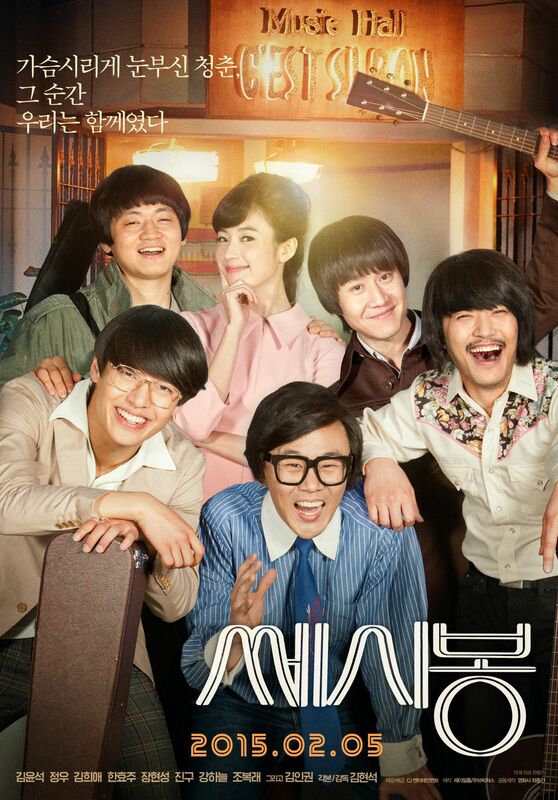 As the members of the band all fall in love with Ja-yeong and attempt to out-perform each other to win her affection, the story moves away from the enjoyment of the band’s origins to become a standard rom-com. To be fair to Han Hyo-joo, she is absolutely stunning throughout and has rarely looked better, however due to the focus applied to her as the muse of so many admirers, C’est Si Bon consistently feels like a vanity project for the actress. Ironically however, as Ja-yeong tends to use and manipulate the men in her life as they constantly try to impress her, the result is an attractive but not a particularly likeable lead female protagonist which significantly lessens the romantic appeal. Recently in Korean cinema a greater number of films are being produced with older audiences in mind which is welcome news for diversity, and C’est Si Bon fits neatly within the paradigm. Yet the film also perpetuates the disturbing trend of romanticising Korea’s totalitarian past. Curfews, police brutality and authoritarianism, and even scenes of intimidation reminiscent of prelude to torture, feature within the narrative. However due to the romantic-comedy contrivances of the film such issues are presented as nostalgia, alarmingly either employed for humour or simply glossed over. Things change from bad to worse for C’est Si Bon in the final act through the inclusion of scenes set in America, years after the rise and fall of the famous cafe. Apart from feeling acutely tacked on and frankly dull, the sequences are unintentionally, and quite literally, laughable. For instance, during highly emotional scenes between veteran actors Kim Hee-ae and Kim Yoon-seok are some incredibly poorly timed interludes by bad American actors that simply destroy all tension and instead generate laughter. As such, C’est Si Bon ends on a sour note, despite the initial enjoyment and promise displayed in the first act. C’est Si Bon is a love letter to the vibrant music scene that existed in Korea in the 1960s, with a particularly enjoyable first act that introduces the styles and catchy music of the era, as well as the formation of the band Twin Folio. Yet director Kim Hyeon-seok’s film oddly eschews such promise by later descending into bland rom-com cliches and romanticising Korea’s totalitarian past, before ending with an unintentionally funny and quite poor finale.